The Bollywood industry has contributed many amazing movies which will inspire you to travel. Travelling is one of the most popular hobbies of the people nowadays. They just love to explore and see new places in the best way they can. 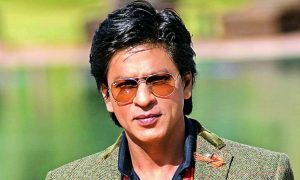 Bollywood film industry has produced movies like ‘Zindagi Na Milegi Dobara,’ ‘Yeh Jawani Hai Deewani’ and many more which have influenced many people and have also given them their travel goals. Let’s check out some of the best Bollywood movies that will surely inspire you to travel. 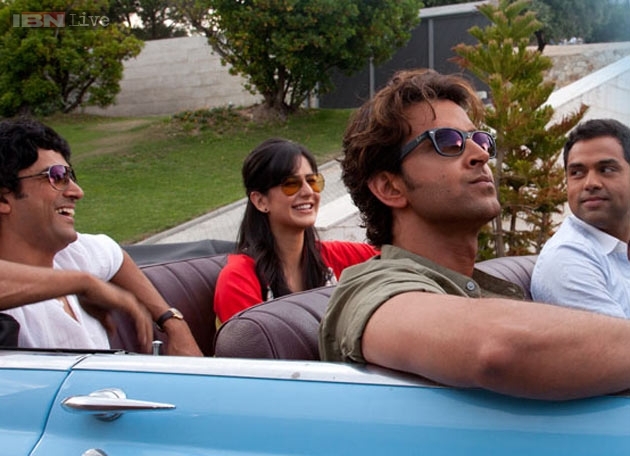 Zindagi Na Milegi Dobara is a Bollywood film directed by Zoya Akhtar which features Katrina Kaif, Hrithik Roshan, Farhan Akhtar and Abhay Deol in the pivotal roles. The movie is based on three friends Kabir, Imran and Arjun who decide to go on a vacation to Spain. The trip turns out to be a great discovery for all of them where they realize the true definition of life and learn how to overcome all their fears. The plot of the film truly inspires all the Bollywood fans and the movie will definitely give you your travel goals and definitely it is one of the best travel movies of Bollywood. Tamasha is a Bollywood film directed by Imtiaz Ali which features Ranbir Kapoor and Deepika Padukone in the pivotal roles. 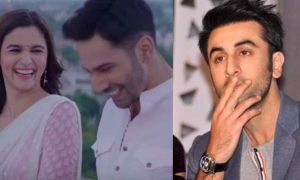 In the movie, Ranbir Kapoor plays the character of Ved alongside Deepika Padukone who plays the role of Tara. In this movie, Ved and Tara meet on a vacation in Corsica where they start to like each other. Ranbir was a great storyteller and always remained in the world of his stories which made Tara fall for him. The movie involves some great sceneries and some really amazing places in Europe and it definitely inspires to travel. The movie also had a great message and was really loved by the Bollywood fans. Tamasha is also one of the best travel movies and it is surely worth watching. Dil Chahta Hai is a Bollywood film directed by Farhan Akhtar and features Aamir Khan, Saif Ali Khan, Akshaye Khanna, Preity Zinta, Sonali Kulkarni and Dimple Kapadia in the lead roles. The film is based on bromance and portrays the value of love and friendship. In the film, the three friends also go on a road trip to Goa which will surely inspire you. The film went on to be a commercial success and was very well received by the Bollywood fans. It is surely one of the best travel movies. Yeh Jawaani Hai Deewani is a Bollywood movie directed by Ayan Mukerji which features Ranbir Kapoor, Deepika Padukone, Kalki Koechlin and Aditya Roy Kapoor in the major roles. 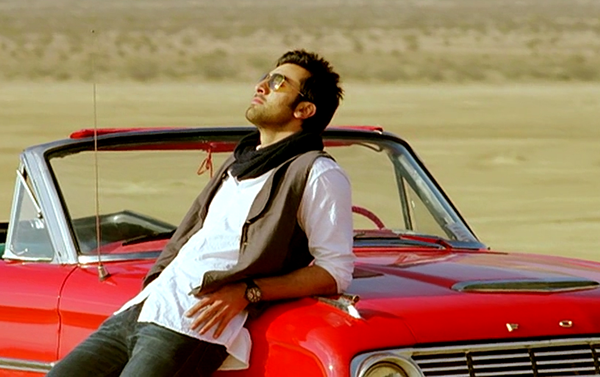 Ranbir Kapoor plays the role of Bunny or Kabir Thapar and Deepika Padukone played the character of Naina. The movie was a complete superhit and highlights friendship, love and the changes which occur in life with time. The characters Kabir (Ranbir)and Naina (Deepika) go on a trek to Manali where they become very close to each other which turns out to be a successful love story eventually. The character of Bunny inspires in a great way and his life in the movie will definitely inspire you to travel. 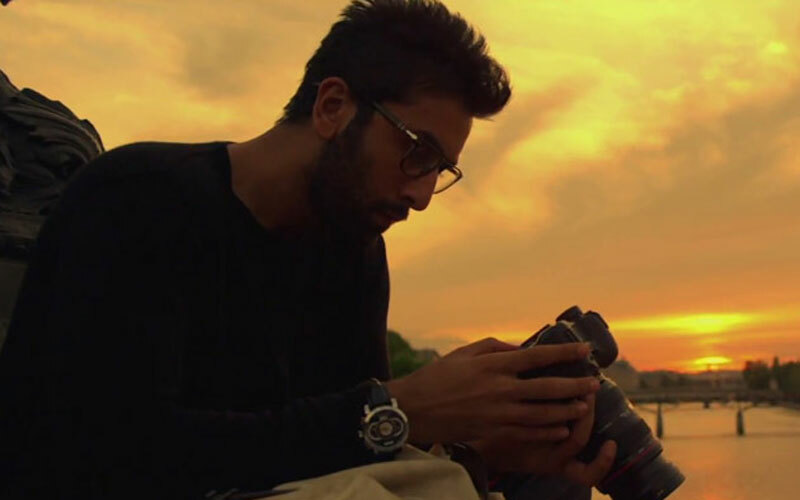 YJHD is surely one of the best films which will inspire you to travel. Anjaanaa Anjaani is a Bollywood film directed by Siddharth Anand which features Ranbir Kapoor and Priyanka Chopra in the major roles. This movie revolves around two strangers who meet at a suicidal point and had a complete intention of suiciding. Both had their different reasons due to which they wanted just to give up. The story turns out to be very interesting as they both decided to wait until the 31st December and decided to jump from a bridge on that night with the beginning of next year. 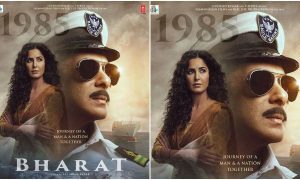 The movie turned out to be very interesting and gave a good message to the audiences when it made both Akash(Ranbir) and Kiara(Priyanka Chopra) realize the worth of their lives. The film also shows various amazing destinations which will surely inspire you to travel there. Ranbir and Priyanka also go on a road trip in this movie which truly inspired the audiences. Jab We Met is a Bollywood film directed by Imtiaz Ali which features Shahid Kapoor and Kareena Kapoor in the lead roles. 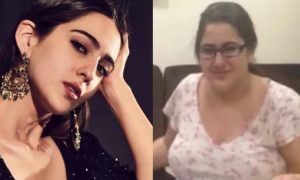 The film is based on a carefree girl from Punjab and a son of the famous tycoon who is suffering from some serious personal issues. Both fell in love with each other lately and also they both produce some elements of comedy and madness together. The film highlights the journey of the train across the country which was truly loved by the Bollywood fans. The film went on to be a super hit at the box office and was very well received by the Bollywood fans. 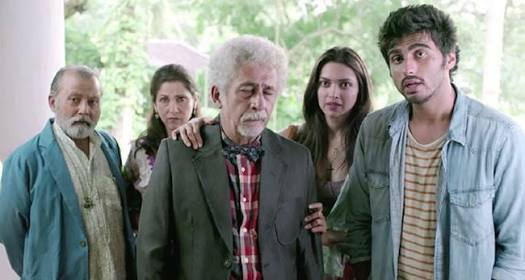 Finding Fanny is a Bollywood film directed by Homi Adajania which features Naseeruddin Shah, Dimple Kapadia, Pankaj Kapur, Arjun Kapoor and Deepika Padukone in the major roles. The film is based on five friends who set on to a road trip to find Fanny. The plot of the film was truly loved by the Bollywood fans and the film will definitely inspire you to travel. It involves great sceneries from Goa and is surely a great travel film. The acting of all the stars was really good and the film received an overall thumbs up from the audiences and the critics. Dilwale Dulhaniya Le Jaayenge is a Bollywood film directed by Aditya Chopra which features Shah Rukh Khan and Kajol in the lead roles. Dilwale Dulhaniya Le Jaayenge is one of the most popular films of the Bollywood. The film went on to be a blockbuster worldwide and even you can see the posters of the film abroad till now. 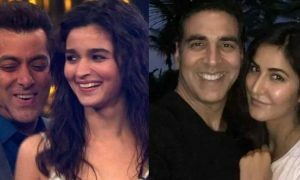 The story is based on two NRI’s Simran and Raj who fall in love unexpectedly when they go for a vacation in Switzerland. 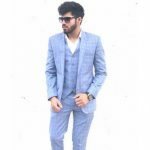 The movie shows some really great places in Switzerland which are extremely beautiful and are definitely going to attract your eyes while watching it. The movie went on to be a super duper hit and is definitely one of the most successful films of all time. The movie was globally loved by the audiences and the beautiful destinations in the film will surely inspire you to travel. Queen is a Bollywood film directed by Vikas Bahl which features Kangana Ranaut in the major role. In the film, Kangana Ranaut travels to Europe to celebrate her Honeymoon alone. The concept of the film was really amazing and touched the hearts of many Bollywood fans. The film also gives solo travel goals to the audiences and was very well received by the Bollywood fans. The film went on to be a commercial success and is definitely one of the best movies based on travelling. 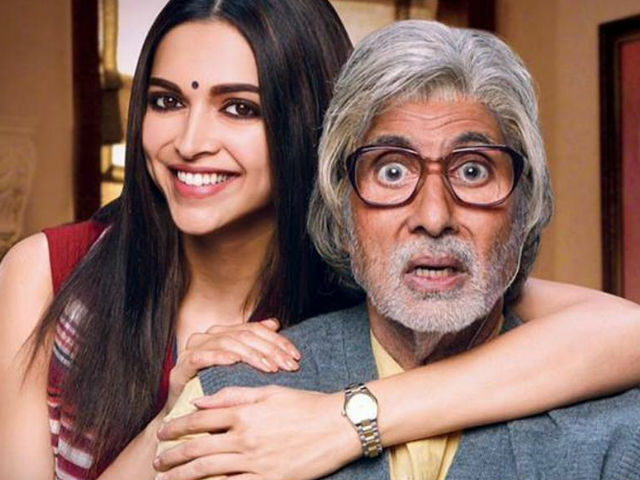 Piku is a Bollywood film directed by Shoojit Sircar which features Amitabh Bachchan, Deepika Padukone and Irrfan Khan in the pivotal roles. The film involves elements of comedy, drama and chaos and the acting of Amitabh Bachchan as a patient of constipation was just phenomenal. The film also involves a road trip from Delhi to Kolkata which was one of the most interesting parts of the film. Amitabh Bachchan completely succeeds in entertaining the audiences with his role and the movie turns out to be really good. The road trip in the film can definitely inspire you to travel in such a way.